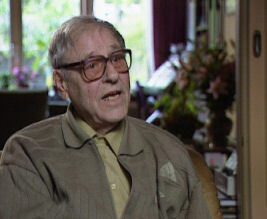 This film shows 16 moving interviews with Dutch non-Jewish citizens who maintained their position and helped the Nazis. 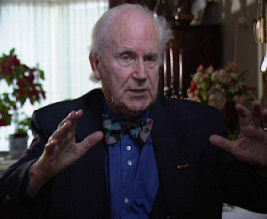 The film also includes five interviews with Dutch Jewish survivors of the Holocaust. The Nazi's aim was to murder all Jews. In order to achieve this goal they were able to gain much assistance from the local populations throughout Europe. That happened also in Holland. Dutch police, civil servants, tram and train drivers and many others, all ordinary people, turned out to be of great help for the Nazi's. In this film a series of gripping interviews are shown with ordinary Dutch citizens who cooperated with the Nazi's by simply doing 'their job'. Most of them were no anti-Semites per se, nor pro German, they only 'did their duty'. Also Jewish survivors give their testimonies. J. Verstappen (Dutch train driver), S. Zanten (Jewish survivor), L. van Es (Dutch restaurant owner), J. Joosten (Dutch notary), J. Postma (Dutch furniture mover, who took furniture and other belongings from Jewish houses), H. van Os (Dutch employee of the Nazi robbery bank in Amsterdam Lippmann-Rosenthal.